Collaborate More Effectively with the People in your Business. Unite your team, encourage workflow efficiency, and improve your business with Communifire. What would it look like if everyone within your organization could access project, contact, or sales information with the click of a button? How much more time would be available to focus on projects if communication wasn't hindered by duplicate tasks, missed messages, and poor communication? Give your team the resources to eliminate communication gaps, improve productivity, and work efficiently with collaboration software products from Communifire. Designed to streamline project management, enhance communication, and keep team members updated instantly, Communifire eases the process of cross-departmental communication. Created with innovative tools contained within your company's intranet, collaboration streams are developed instantly, securely, and without interruption. Establish a digital knowledge base, project discussion forums, relay updates, and more within seconds. Easily view activity streams related to projects, marketing campaigns, or internal goals to remove communication barriers and keep everyone on the same page. Respond to updates, ask a question, or create a hashtag campaign to easily search your feed for related topics and activities. Quickly invite other employees to join a specific conversation with @mention capabilities that automatically notify the recipient of the mention. Using the mention function within Communifire's platform simplifies cross-departmental communication and eliminates the need to complete duplicate tasks. Foster a sense of team unity regardless of physical location with virtual work spaces within Communifire's collaboration software products. Manage workspace permissions, store project-related documents, and collaborate with others without risk of losing your data. Data is securely stored in the cloud, so you can ensure your business assets are protected. 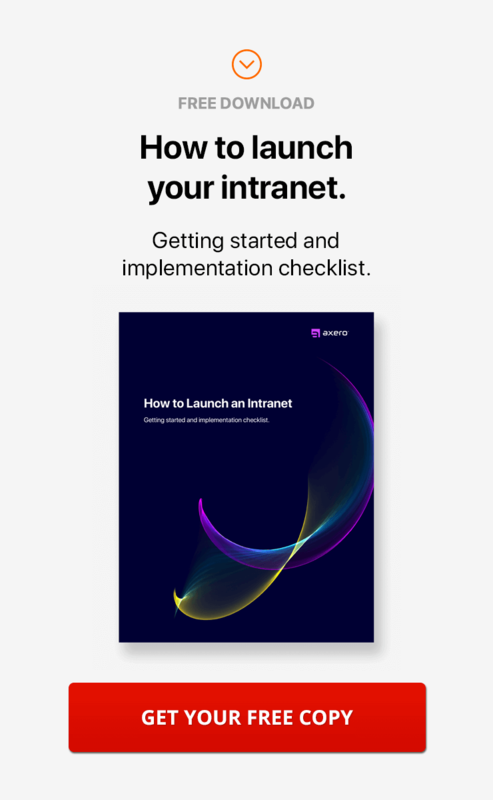 Navigate a corporate intranet that functions like popular social networking sites to expedite the on-boarding process while meeting the changing demands of your company's communication system. With Communifire, learning to collaborate efficiently is virtually intuitive, as the platform makes the process of learning which team members are available to chat, reviewing updates, and checking notifications as simple as logging in. Coordinate project deadlines, manage internal resources, and track the progress of current initiatives both internally and externally with Communifre's collaboration software products. From the moment an idea forms to successful project completion, the platform's case tracker keeps tabs every step of the way. Whether you're using the case and issue tracker for IT management or within a specific department, you'll never doubt the status of an open issue. Ensure each team member in every department has access to business critical information on-demand. Develop company wikis to securely store, update, and share information or distribute helpful articles to a specific person, group, or your entire organization. With built-in content management functions, Communifire's corporate intranet makes short work of collaboration.